The CoffeeShop Blog: CoffeeShop "Snowy Dreams" Photoshop/PSE Action!!! CoffeeShop "Snowy Dreams" Photoshop/PSE Action!!! I noticed that Adobe Photoshop Elements 13 is back on sale for $50 if you are a Amazon Prime member. It is usually around $100, so this is a great deal. If you have PSE9 or below I would upgrade as this new version makes it super easy to load and use actions. 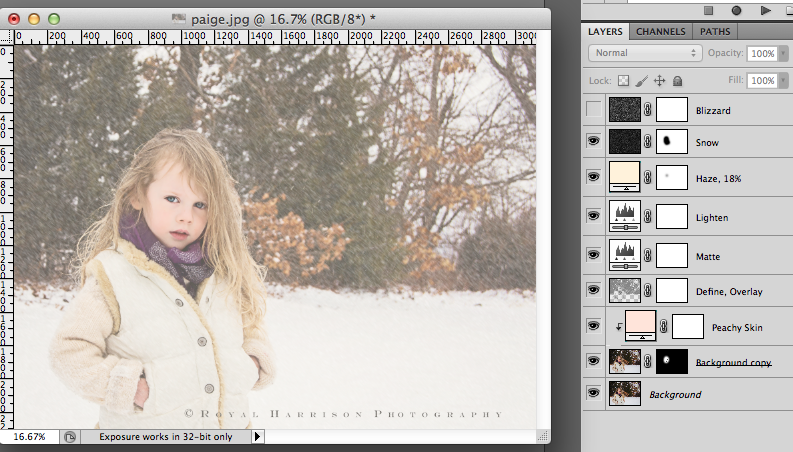 Honestly, you can get pro-level edits with PSE so no need to rent Photoshop if you want to save some money. Just in time for editing your Christmas card images, I wanted to present the CoffeeShop "Snowy Dreams" Photoshop/PSE action. This action adds optional snow and a beautiful ivory matte effect and is completely adjustable. 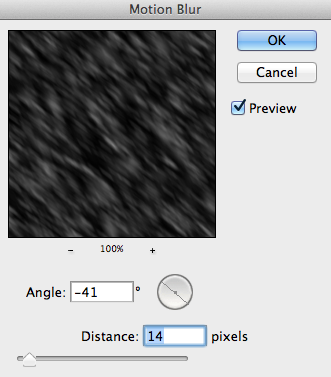 The "Background copy" layer is the skin soften layer in this action. 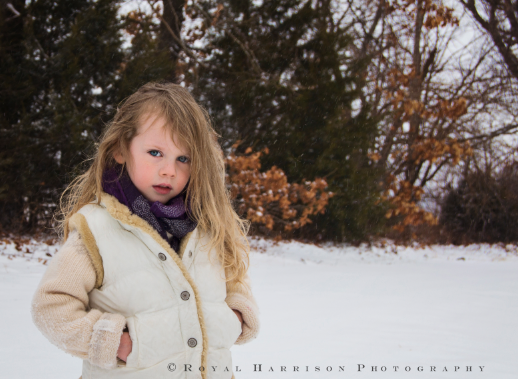 I used this gorgeous image from Royal Harrison Photography (Facebook) in this tutorial. 1. Open your winter image and start the action. 2. The first adjustment you will have to make is adding optional motion to the snow. You can adjust the angle and distance to taste. 4. This is the image after the action finishes. As you can tell you will need to make adjustments. 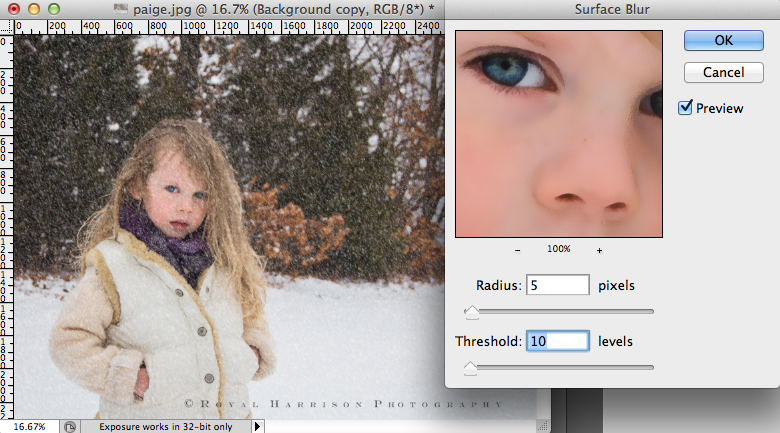 Turn on the snow, paint on layer masks, and adjust the layers to taste. This is my finished edit. I turned on the "Snow" layer and painted it off her face. I reduced "Haze" to 18% and painted some of it off her face. I changed the Define layer to Overlay blending mode and painted on her face on the Background copy layer (soften skin) with a soft white brush. I think this effect would be gorgeous on a vintage card. 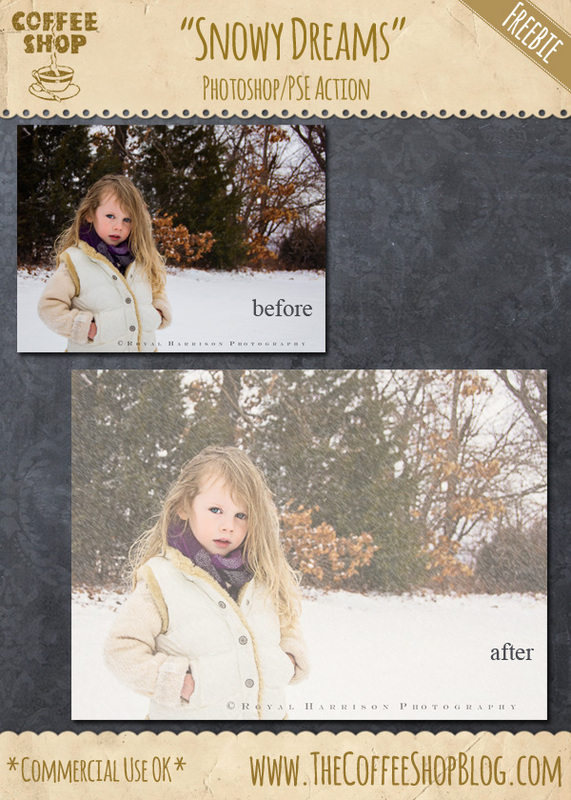 Here is another image (from Sweet Pea Photography by Liz) where I used the action. I love the soft-matte vintage effect of this action. If you love this frame you can download it for free on Pixabay! I would love to see your before and after posted on my Facebook page!!! 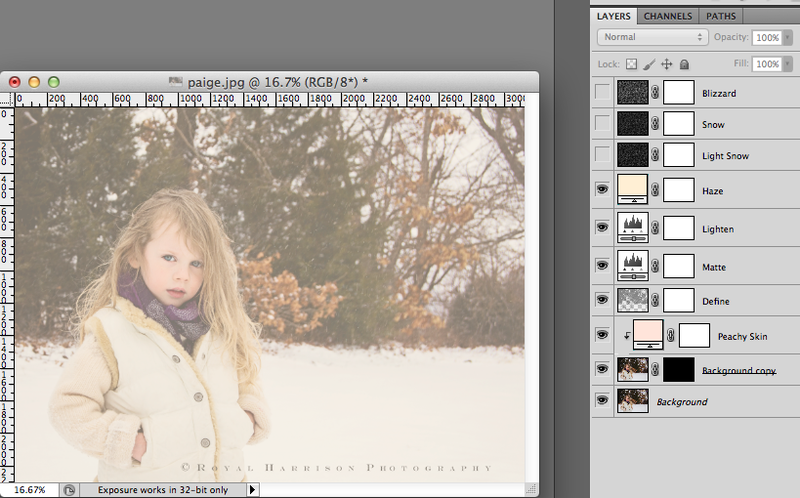 Download the free CoffeeShop "Snowy Dreams" Photoshop/PSE action. You can also download it here. Where did you find that frame? The frame looks awesome, where did you find it? 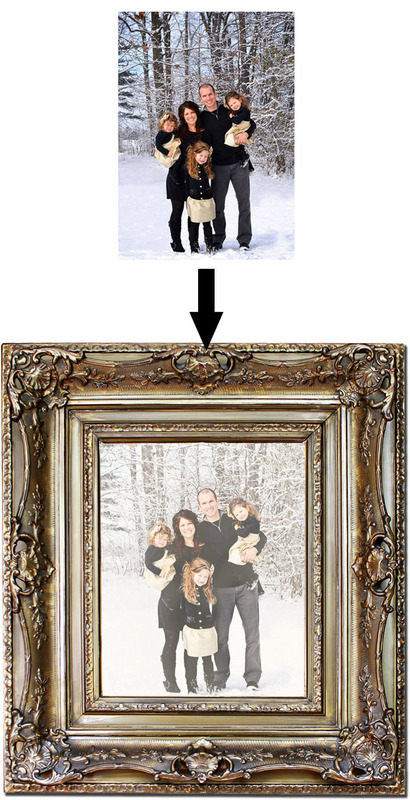 The frame was free and I found it here on Pixabay! I followed today's link and found some of your old Christmas/winter stuff; so now I'm taking a few minutes to grab some goodies. Thanks for another great action. Great frame too. Thanks for the link.